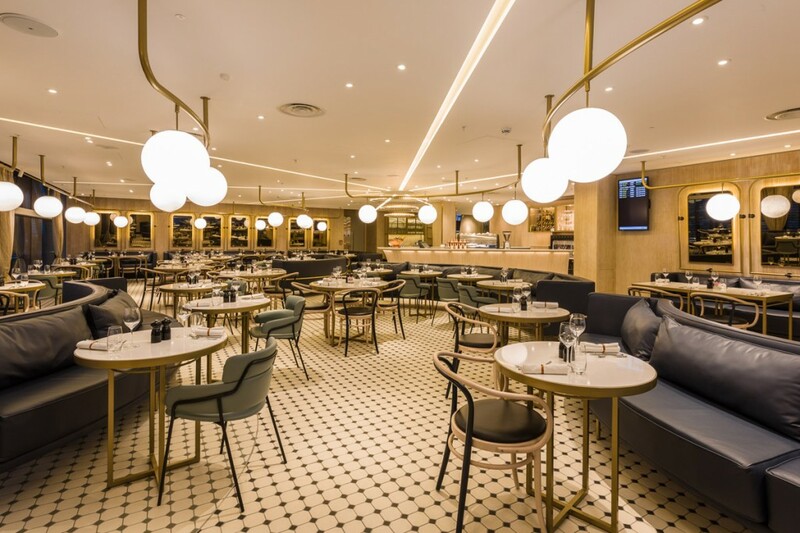 Set up in the newly refurbished Heathrow Terminal 2, four British chefs all noteworthy in their own right have come together to launch The Gorgeous Kitchen. into were appointed through previous client HMS Host who managed the development. The brief involved designing all architectural lighting and the particulars of a series of suspended feature pendants. The scheme also needed to adhere to stringent airport regulations. The unusual floor plan is split in two by a public concourse through the airport. 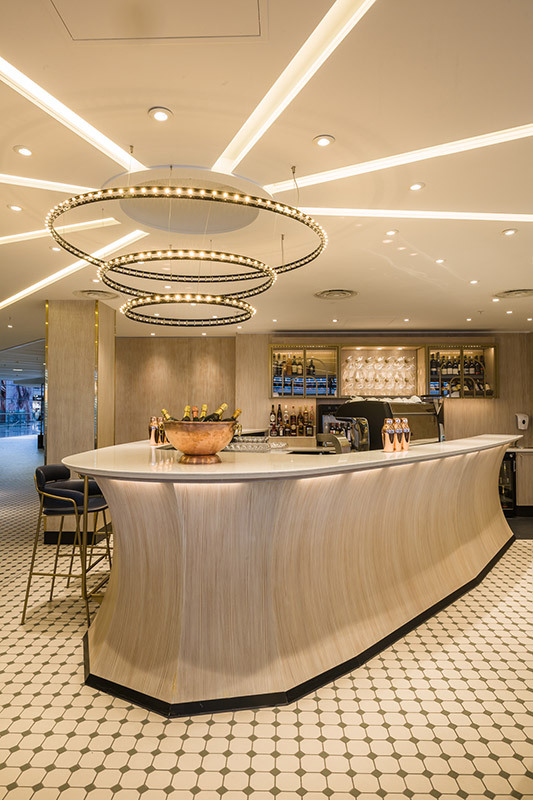 The front bar is carefully lit with LED downlights and high output fixed recessed downlights create pools of light in the immediate entrance area and draw the eye. 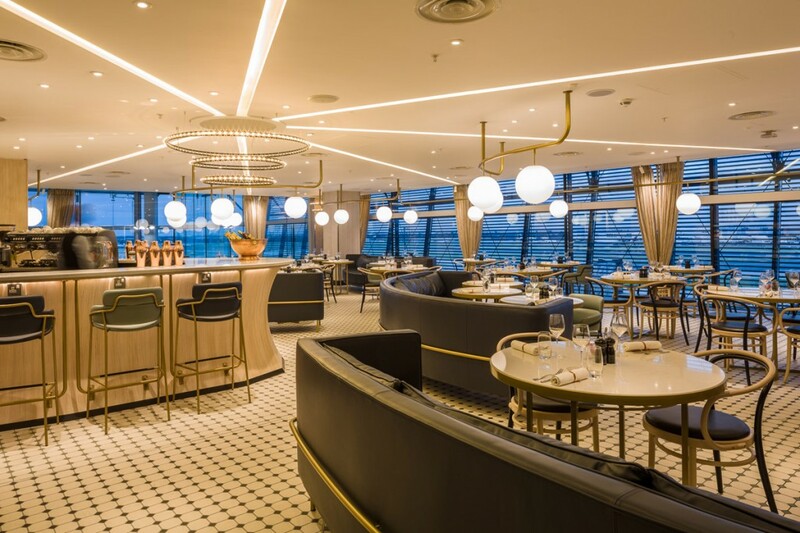 The rear main restaurant design focuses on the feature ceiling and large suspended feature pendant above the bar. into then created a multi-layered lighting scheme built around this. 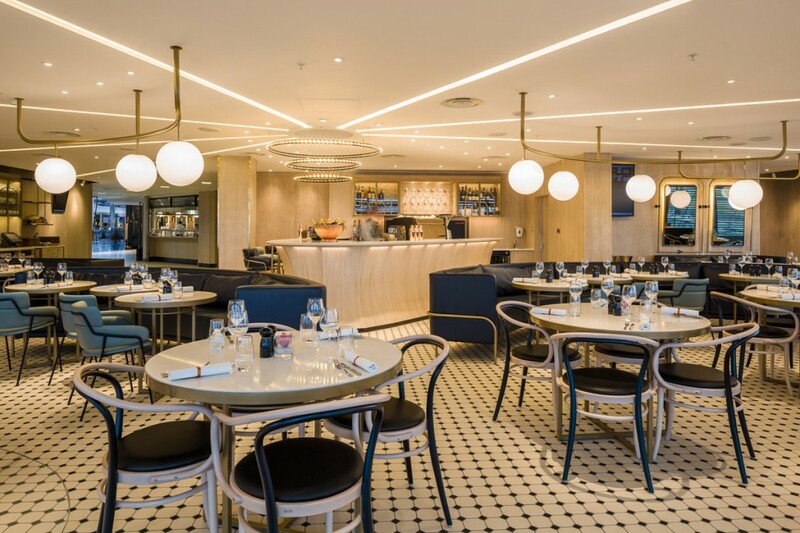 Ceiling troughs are drawn outwards from the feature light, with concealed linear LED sources within, and downlights carefully positioned around this provide ample lighting to tables. The most difficult aspect however was the suspended globe pendants. 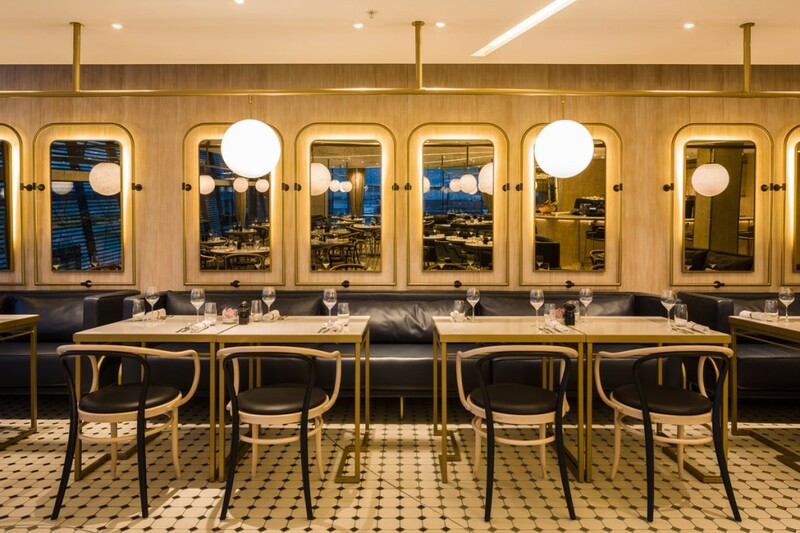 The layout for the powder-coated steel rails was designed by into to compliment the table arrangement, to draw the customer through the space and to correctly interconnect the wiring. Attention to detail around the perimeter further adds touches of glamour, including halo-lit wall mirrors and adjustable small white spotlights onto walls and curtains. into has worked on many airport hospitality venues, and is accustomed to ensuring lighting meets with the regulations. The layered lighting scheme creates an interesting design feature and a modern and ambient space. The restaurant reflects on the food it serves – elegant, modern and chic.